This 32 page test refill packet contains a perforated copy of each module test from Exploring Creation with Physical Science. This contains ONLY tests and no solutions. This product is great for a family with multiple students taking the same course or families who have used the course in the past and just need a new set of tests for the current student. Note: If you are purchasing the Exploring Creation with Physical Science 2nd Edition Solutions and Test Manual or the Book Set, you will receive one set of perforated test pages in that order. This product is for families that need ADDITIONAL copies of the tests. This is the Solutions and Test Manual only for Exploring Creation with Physical Science, which contains answers to review questions, practice problems, tests, and test solutions. One test packet is included with this manual. 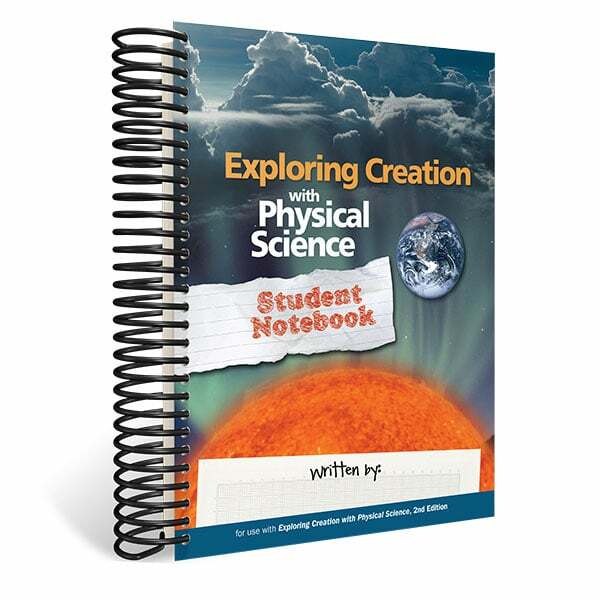 This CD contains a complete audio recording of the course Exploring Creation With Physical Science, Second Edition. This is the perfect accompaniment to the book for students who are auditory learners or have reading challenges. Must play it in an MP3-compatible CD player or on a computer.